Sigh. It was bound to happen sooner or later. I’m just now getting around to actually writing about it. 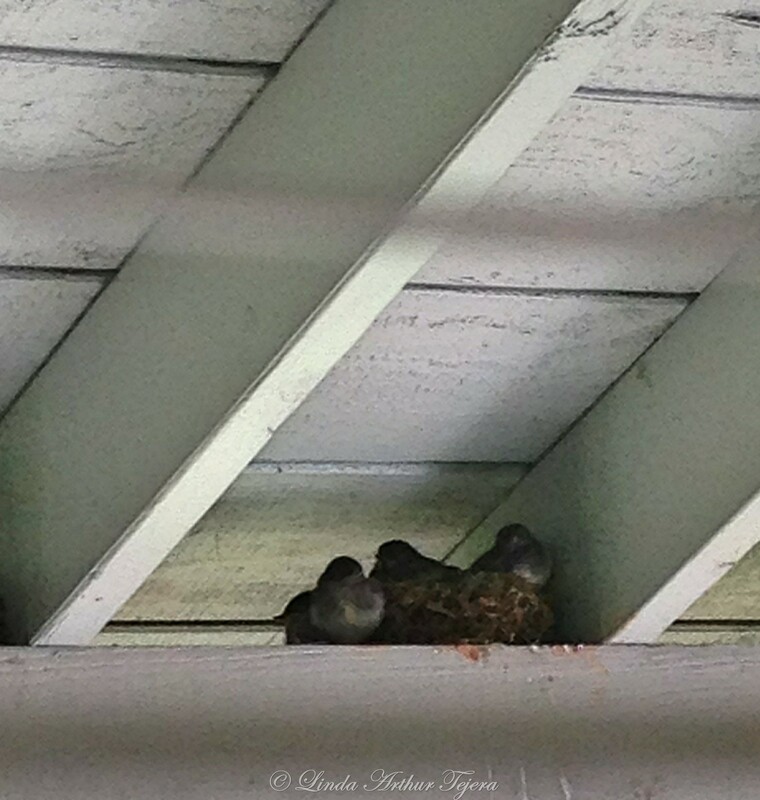 As you know, Day 2 of my Nature Challenge [here], I posted pictures of a little bird who was nesting in an alcove on our back porch. I must admit, it was such fun watching the parents care for the babies (I assume as much since I can’t tell one from the other) and watching the babies grow. Sorry about the camera shakes. I was trying to get a bit closer with my iPhone5. Their little squeeks were barely audible. The exterminator told us not to let any of our animals out for at least an hour. 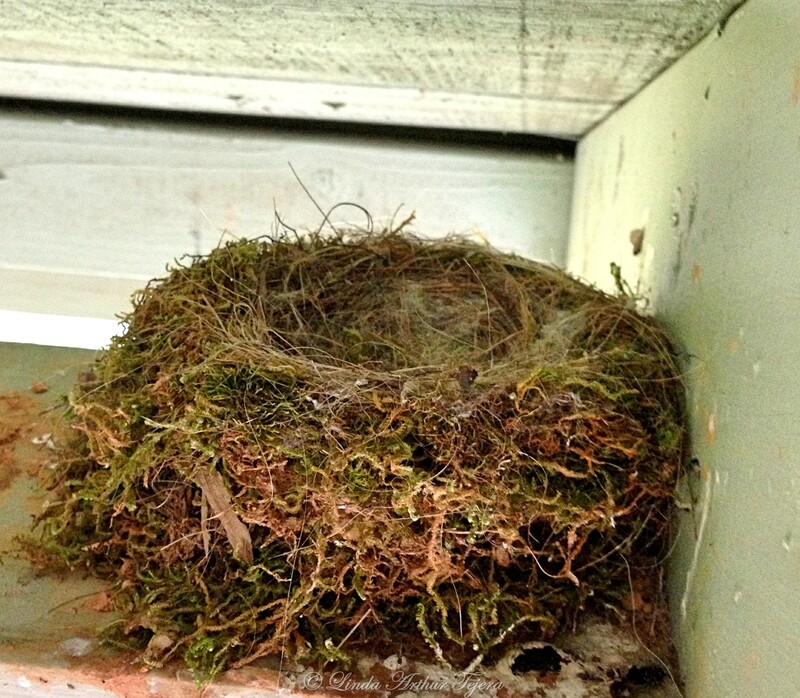 So, after a couple hours of waiting, Tom replaced the nest in the exact same spot. We just held our breath that all was well and mama would return. And she did. Without a zoom lens, I was never able to catch her feeding the babies. Every time I tried to sneak outside, she would fly a short distance away. So I stopped trying. I didn’t want to upset her. 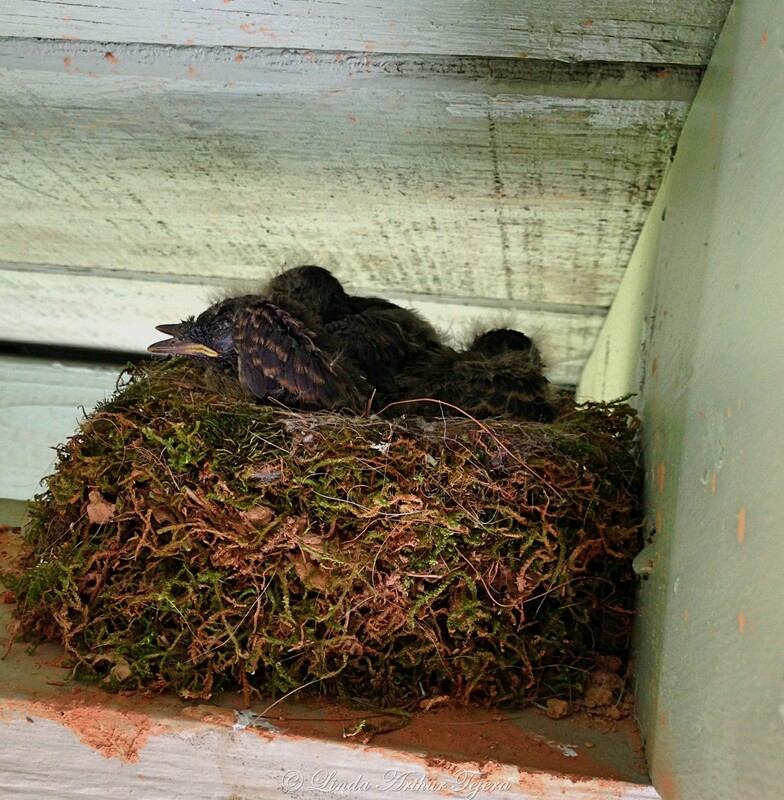 Then on May 8, after she left from feeding them, I took the step-stool and my iPhone and did my best to get a photo without getting too close. 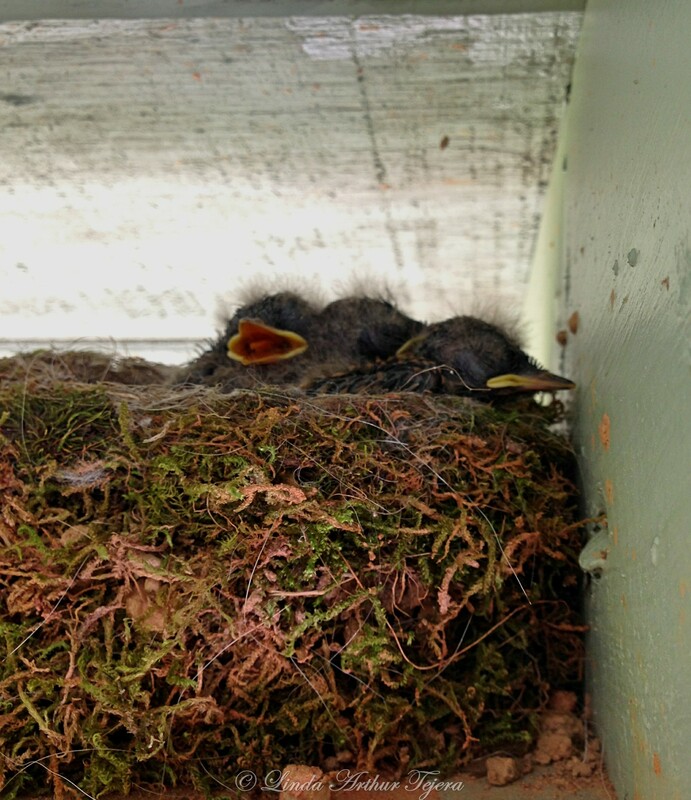 A few days later on May 11, I took this one shortly after their feeding. The next time I took any pictures was on May 16. 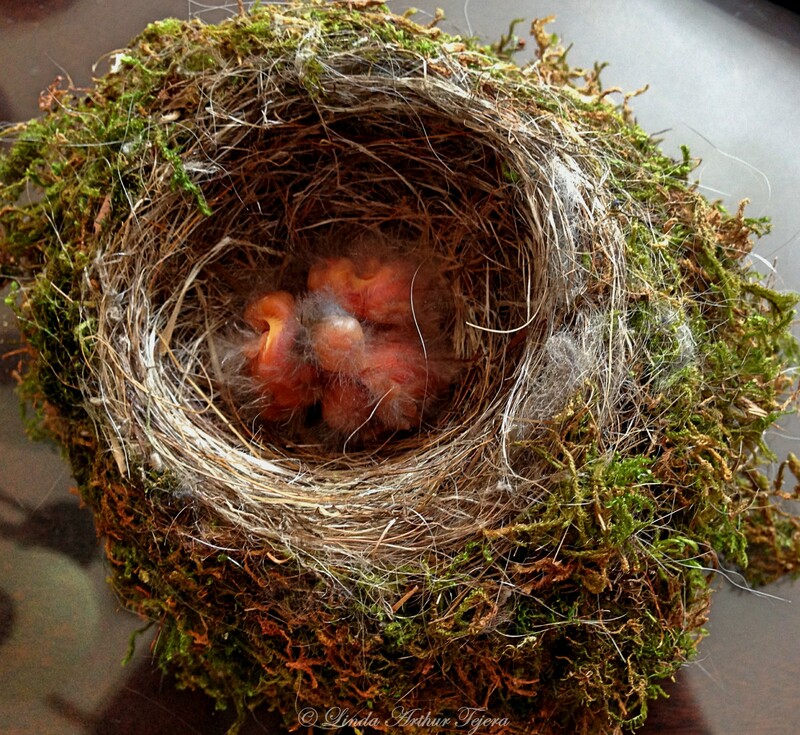 The babies are all grown up here and exercising their wings. It won’t be long now.